Vishakhapatnam or Vizag is the financial capital of Andhra Pradesh. It is going to be the next IT capital of south India. Vizag is the centre of education, research and learning. There is a huge scope for education and IT related business. Recently, the government of Andhra Pradesh has launched India's first “Intelligent Global Hub for Digital Pedagogies (IGHDP) or I-hub” in Vizag to promote social and emotional learning through digital pedagogy. The I-hub will consist of a research centre for learning, Design University, 4-D school, global certification bureau, start-up incubator and skill development institute. Gamification has been widely used to maximize enjoyment and engagement by capturing the interest of learners and inspiring them to continue learning. Led by Mahatma Gandhi Institute of Education for Peace and Sustainable Development (MGIEP), the I-hub will mainly explore the possibilities of using gaming technology for educational purposes. It will be a mix of for-profit and not-for-profit entities. Vizag will be the administrative unit along with side-unit components such as game developing centres, design university and research labs. The campus will also have a school for children with special needs for easy access to relevant learning material including games and experiential virtual reality. The role of teachers in the coming years will be paramount. 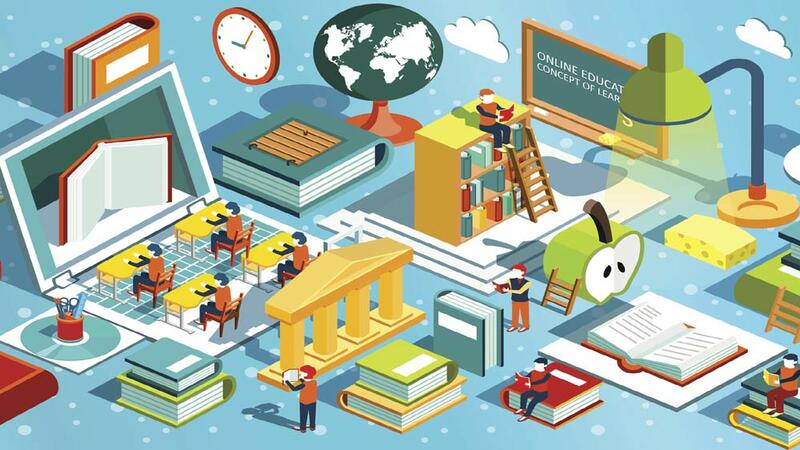 One of the major factors behind changing the scenario of digitised education in India is training teachers to implement and design a curriculum based on digital pedagogy. The training centre at i-hub will train government school teachers of Andhra Pradesh to develop the curriculum and facilitate learning through digital pedagogy. "Teachers should be equipped with appropriate knowledge and skills to develop content online using multi-sensory tools, video and audio formats are crucial," said Anantha. The I-hub will become a platform for international organisations to collaborate and contribute their expertise towards India's development in the education sector. Adityanath Das, special chief secretary, department of school and higher education, the government of Andhra Pradesh, said, "AP government is keenly investing in establishing the I-hub as it will gather global recognition for Vizag. Collaboration with international organisations and governments of foreign countries will increase the human resource mobility, which will give a boost to the tourism industry in the city." Those who want to start their own business or take up franchises can join in the FRO 2018, happening in Chennai on 15-16 December, to know more about the franchise business, financial advices, and business advices from the experts. Meet the investors personally and participate to change the small world of business. Join hands with Smart school Education Pvt Ltd and be..
Common Challenges Faced by Startups..
Story of the King known for his ‘Curries’.. Ink in Hands & Business on Mind..
​Technological Advances in the Beauty Industry.. Things You Need to Know to Open a School..
4 Points to Consider Before Investing in a Biz.. The Surfacing of Online Jewellery Market..
How To Start a Coaching Business.. Diversification in Cuisines Is The New Tang.. Paving New Paths through Innovation.. Benefiting The Employers & Employees Both..
Why has Franchising Become Popular?.. ​How to start a wholesale distribution business?.. 5 Ways to Achieve Success in your Business..
Future Trends in the Wellness Industry..
“Healthy Customer Relationship is Our USP”..
Consumer Products And Retail Is Booming..